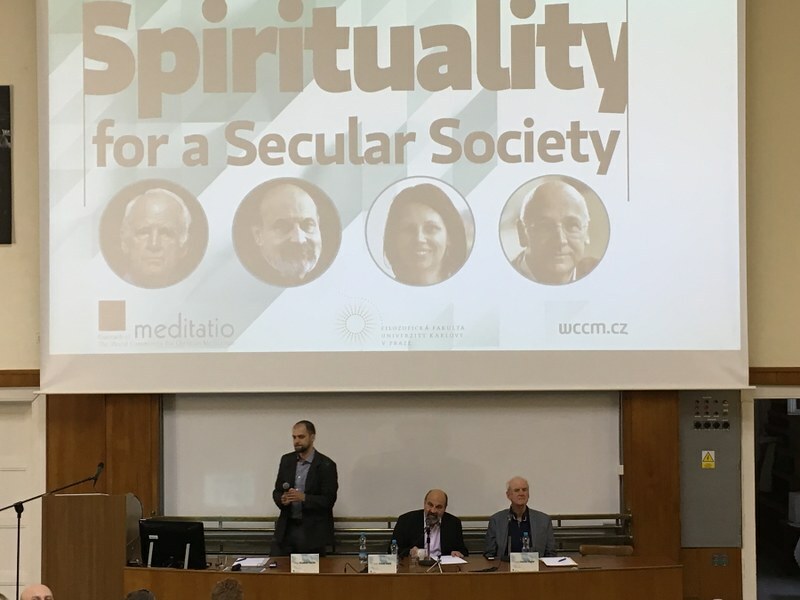 All the videos from the Mediatio Seminar “Spirituality for a Secular Society” are available now on our websites. The event was held on 11 and 12 May in Prague, Czech Republic. The speakers were: Prof Charles Taylor (Philosopher), Prof Tomas Halik (Philosopher), Prof Ivana Noble (Ecumenical theologian) and Laurence Freeman (Benedictine monk, Director of WCCM). The Meditatio Seminar Spirituality for a Secular Society was held in Prague, Czech Republic, on 11 and 12 May. The event had about 220 participants and the speakers were: Prof Charles Taylor (Philosopher), Prof Tomas Halik (Philosopher), Prof Ivana Noble (Ecumenical theologian) and Laurence Freeman (Benedictine monk, Director of WCCM). After the seminar, a retreat was led by Laurence Freeman with about 70 participants. The talks from the seminar will be available soon in video from our Meditatio Store.